"To age well, eat well, exercise well, adopt smart habits, stay alert, and prevent age-related disease"
"Age does not depend upon years, but upon temperament and health. Some men are born old, and some never grow so........"
Medical advances in the last century have meant that average life spans are greater today than at any other time in man’s history. 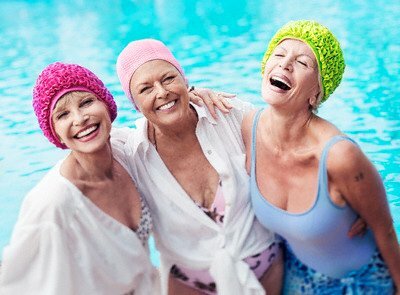 What is more, as the baby boomers reach 60+, the numbers of people who want to learn how to age better and slow down the aging process is growing. 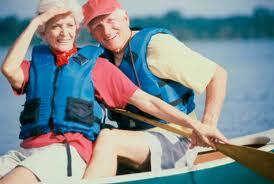 More and more people are interested in healhy aging and staying fit and looking good for as long as possible. This site gives information on how to age well, which means both aging healthily and also looking younger than your chronological age. Nobody relishes the thought of growing old, but aging doesn't necessarily mean losing your looks or having to give up your favorite activities. Everyone has three different ages: his or her chronological age, the body’s age and the age of the mind. 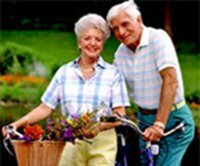 Here we will briefly explain the aging process, give tips for preventing the main illnesses prevalent in an aging population, and the best advice on How to Age Well, keep your looks and stay active and young at heart. If you follow our advice, you will be able to take responsibility for your own health, and help your body and mind age well, by learning as much as possible about health care, nutrition and fitness. We will also endeavour to keep you up-to-date on new medical advances that will increase quality of life and prevent premature aging. This site will also give information on all aspects of healthy aging, including how face care, exercise and supplements that can help you look younger longer. Click on the above link to visit the site map or table of contents, if you are looking for specific information. Keywords used in this site include "age well, how to age better, anti-aging, anti-aging, longevity, senior health, healthy aging and healthy ageing"
Dominic (Ghana) says: This site is wonderful, very educative, everyone needs to visit the site and recomend to others. Patrick (Germany) says: Age-Well.org has the attitude of celebrating age rather than stigmatizing its effects. It is user friendly and easy to read. A very positive addition to the much needed information flow to help an aging population regain ownership of the fascinating process of becoming older and wiser. Sue (New York) says: regularly use age-well to look up health information related to aging. Most recently I have been trying to lose fat around the middle - I find your advice very helpful. I also love all the pages on nutrition and the new pages where we can submit our recipes and get ideas from other readers is really useful. It would be even better (will be) when more people contribute. I find the site very informative. Ann (United Kingdom) writes: Very impressed with this site. I have put this on my favs. On your contributions page, you asked what subjects we would you like to see covered in this website? I'd really appreciate an article on Bereavement/Grieving/Coping with the loss of your partner. Click on the Amazon Search engine below to access Amazon through the age-well.org gateway. Ordering your Amazon Products in this way will benefit age-well.org as a small percentage of your payments will be passed on to age-well by Amazon and this cost will not be passed on to you by Amazon. If you are a new customer just make your purchases passing through the Amazon Gateway below. If you are an existing Amazon customer you will need to delete your your existing Amazon Account by sending a message to google at this Direct removal link and then register a new Amazon Account, making sure you click through to Amazon through the Advert below. This will require a few minutes of your time but from then on age-well.org will receive a small percentage from Amazon each time you order goods, so it will be minutes well spent. All of the articles in this site are published under the Creative Commons Attribution 3.0 license. This means that you are encouraged to republish and rewrite Creative Commons licensed age-well.org content in any way you see fit. The only requirements are that you (a) link to the original article, (b) attribute the author, and (c) attribute age-well.org. Photos are not included in this agreement. All unauthored articles should be attributed to Mary Treacy, Founder and Contributing Author of Age-well.org.